A number of animal species in Great Britain will be better protected from today as new international humane trapping standards regulations come into force. It sets out clearly-defined minimum trap humaneness standards and trap testing procedures, creating an internationally recognised benchmark for trap welfare. The government supports this objective and shares the British public’s high regard for animal welfare. Since the consultation closed in July 2018 the government has moved to implement the AIHTS via the Humane Trapping Standards Regulations 2019 and from Thursday 28 March a number of species will be protected from any trap or snare under the Wildlife and Countryside Act 1981. Any trap used under the authority of a licence must be certified as meeting the international trap humaneness standards and suitable for the humane live capture of the above species. However, if you want to use a live capture trap which has not yet been considered for certification in England, the use of the trap may be permitted under individual licence, subject to a trap humaneness assessment being undertaken, recorded and reported to Natural England. If you need a licence to use a trap in Scotland or Wales, you must contact the relevant licensing authority in that country. Northern Ireland will implement the changes at a later date. 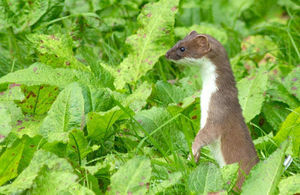 The government has listened to the concerns of stoat trap manufacturers and users and agreed to delay implementation for stoat for a further year - until 01 April 2020. This sends a clear signal to manufacturers and traps users that they must transition to compliant traps, whilst recognising they will need time to do so. In England, further information including how to apply for a licence and information on suitability of traps is available from Natural England. Natural England is the licensing authority for trapping in England.